Is it Possible to Make Money Blogging? A Resounding Yes. Most of us know all too well how overwhelming it can feel to juggle the day-to-day demands of writing a blog with the big-picture strategy of creating a profitable business. Have you ever wished someone could guide you through the process of a successful blog and show you step-by- step, exactly how to grow your traffic and generate a sustainable income? That is exactly what Elite Blog Academy was designed to do. A few months ago I decided to take a chance and enroll in the first-ever Elite Blog Academy course. I wasn’t sure I would learn anything new, but I was willing to take the chance. I am so glad I did! In the two months since I started Elite Blog Academy, I have doubled my pageviews (and it just keeps increasing! ), increased my income and am actually turning Mom Fabulous into a full time job. I started the course on September 20th. Here’s a look at my traffic growth from that day until today November 22nd. I’ve been blogging since 2005, first starting out for a company and then going out on my own. Because of a number of reasons and through a series of events, I eventually sold my two most popular blogs, sat back for awhile and tried to decide what I wanted to do next. I kept coming back to blogging, but I wanted to make good money, write about things I really enjoyed and have fun in the process. Was that too much to ask? At first….yes. I started Mom Fabulous and felt frustrated, confused and just about quit, AGAIN. Then I found Elite Blog Academy. I talked it over with my husband, thought about it for a few days and then decided to go for it. I took money I had received for my Birthday, plus a little cash I had earned from my blog and bought the course. Again, I am so glad I did. 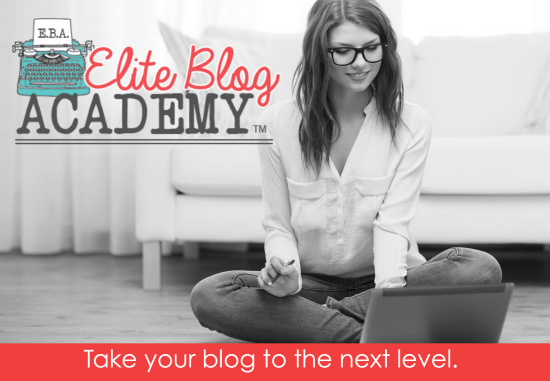 Through a powerful combination of effective videos, practical and insightful handouts, purposeful assignments, and interactive live webinars, Elite Blog Academy will empower, enable, and inspire you to take the specific steps necessary to refine your message, grow your audience, monetize your platform, and transform your blog into a successful and profitable business. Elite Blog Academy is running a Black Friday deal. The sales cart will open on Friday, November 28th and will close at Midnight on December 5th. This is the LAST TIME this course will ever be offered at this price. While so much of the information currently available about Internet marketing is written only by those whose audience consists of other bloggers and marketers, Elite Blog Academy is different. It shares proven, field-tested strategies for building a successful, profitable blog, regardless of the niche and no matter the target audience. 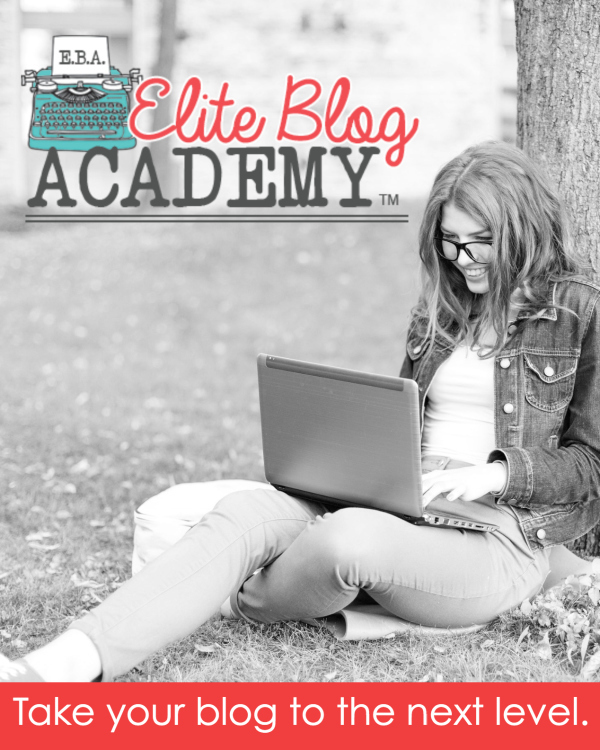 Elite Blog Academy is designed to be self-paced, but should not be completed in less than 12 weeks. Blogging is not for the faint of heart, and this course requires a willingness to buckle down and get to work. That said, for those who are willing to do the work, it also comes with a 100% money-back guarantee. Anyone who completes the course and has not seen measurable results in both traffic and income growth will get your money back, no questions asked. That’s a pretty incredible promise, but it means that you’ve literally got nothing to lose. 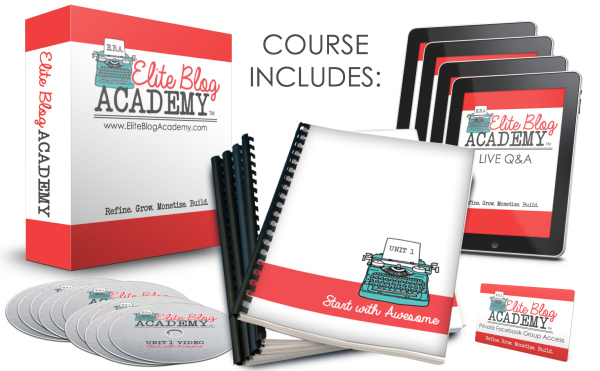 Enrollment for Elite Blog Academy is extremely limited, and will only be open for two weeks. If you are ready to finally take your blog to the next level, sign up now to secure your spot! Do you have any questions about the course? Ask me in the comments section, or email me julie at momfabulous dotcom. Congratulations on your growth! It’s so exciting to see the hard work paying off, isn’t it? I’m having similar results with EBA and am loving it.. Thank you Sarah! I’m so glad you’re seeing results as well. It’s exciting! Please advise, right now this will be a leap of faith because of our current financial situation . We are Working on Getting out of debt, then my husband losing job at a private Christian School and now he’s subbing . I know I’m willing do do the work….. But right now this would really be a sacrifice , I’m praying about having Christmas toys for my kids. Thank you for all u do! Thank you for stopping by and I appreciate you opening up about your situation. I can honestly tell you if you want to succeed at blogging, this is the course for you. It is a sacrifice financially and it is A LOT of work, but I believe well worth it. I bought the course, am doing the work, putting it in God’s hands and I have been extremely blessed through all of it. I actually bought the course right before the company my husband was working for went under, which we knew was happening. So it was a leap of faith. If you’re willing to work hard and do as Ruth says, I believe this can be life changing. But it’s not instant! It takes time to build up a blog, build up a readership and make money. I hope that helps some. Blessings to you! just wanted to see if you finished the course and if you reqched profitablility with your blog?